Carlos Castaneda established himself as a leading spiritual teacher with the publication of The Teachings of don Juan in 1962. In this, he described his extraordinary experiences with the Yacqui medicine man known as don Juan. 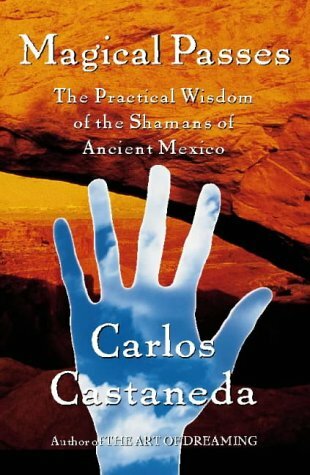 Magical Passes is a practical guide to the magical physical techniques taught to Castaneda by don Juan and the shamans of Ancient Mexico. In print for the first time ever, Castaneda brings us the profound and practical applications of the wisdom of don Juan Matus. Castaneda has called these teachings ‘Tensegrity. They are a modernized version of thousands of movements that were passed down from twenty-seven generations of sorcerers through don Juan. The Shamans of ancient Mexico discovered these movements in dreaming and called them magical passes, because of their positive affect on the psyche and physical body. This book provides a real foundation for learning and practising these movements. The book goes further than the other books of Castaneda in featuring complete descriptions, photographs, and explanations of each movement, as well as explaining the philosophical framework in which the passes were discovered, taught and practised today. 1. Magical Passes. The Practical Wisdom of the Shamans of Ancient Mexico.